Eventually there comes the time in every photographers life where he succumbs to the lure of Leica. To find out for himself if they are simply over-priced. To discover if the cult has something to offer. Even if you are not interested in the limitations of the rangefinder system, and don't have multiple thousands of Euro for a digital Leica, there are still plenty of options for using the lenses themselves on other camera bodies. In this post I'll outline the options for Pentax, setting the stage for some test shots with my first Leica glass, the 60mm f/2.8 Macro-Elmarit-R. I am by no means an expert, so please post corrections. Leica has two incompatible mount systems, R-mount and M-mount. 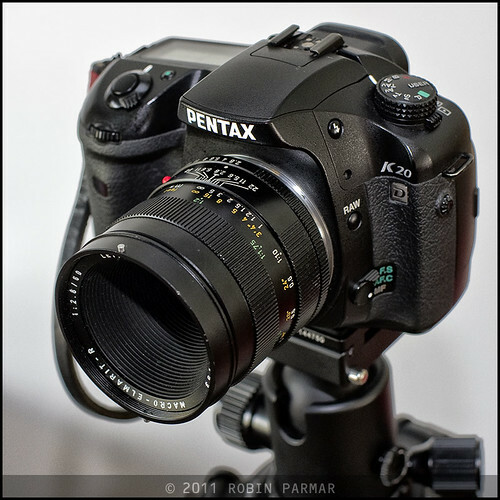 It is the former that can be modified for use on Pentax bodies. There are five mount variations that you only need to concern yourself with when matching a lens to a Leica camera: one-cam, two-cam, three-cam, R-only and ROM. None of these matter for Pentax cameras, since the mount is going to be replaced anyway. Thus, if you are looking for lenses to buy, you can safely focus on the cheapest (one of the first three). Leitax makes mounts available, and have instructions for how you go about using these. They can also do the conversion for you, which is perhaps best if you don't feel comfortable opening up an expensive lens. There are also inexpensive Chinese mounts available on eBay that apparently work just as well. I simply purchased a lens that had already been converted, and as a result have no experience with the process. There have been 50 or so Leica R-mount lenses, not counting those from third-parties. Here is a list of them that I have collated over the last couple of years (yes, I really do plan ahead! ), starting with the info at this French site. Realistically you will be obtaining Leica lenses because they have something to offer that you cannot get in your current camera system: quality of bokeh, workmanship of the build, image rendering quality, manual focus control. If we consider only primes outside the telephoto range and restrict ourselves to more available lenses we can thin the list quite a bit. Leica has discontinued the R-mount in favour of the M-mount, so in theory these lenses will only get more valuable as people seek them out for conversion. I will continue posting about this new world in future articles.